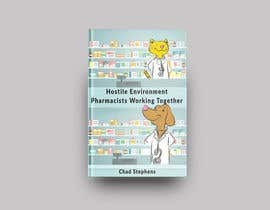 Cover Description: The cover needs to have two two pharmacists standing in a pharmacy and staring spitefully at each other. 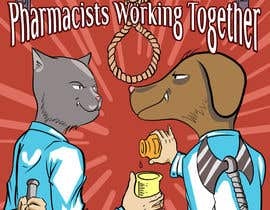 One pharmacist has the head of a dog and the other has the head of a cat. The dog is holding a battle axe behind his back and the cat is holding a sharp kitchen knife. Although they are staring spitefully at each other, they are smiling and showing sharp teeth. Their smiles give them an eery, "i'll get you later" look. 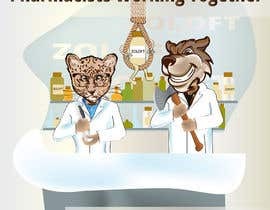 They are wearing white pharmacist coats/smocks. 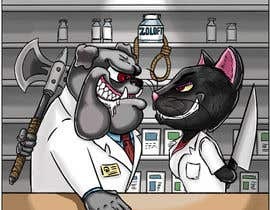 In the background is a bottle of pills that says "Zoloft" on it. 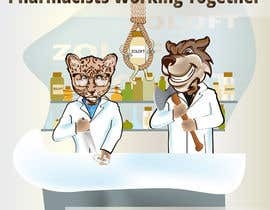 Hanging from the shelf, where the bottle of Zoloft sits, is a noose. 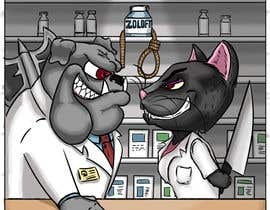 (many suicides by hanging caused by Zoloft. 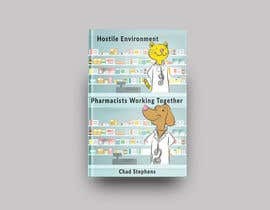 Anyway, the intent of the book is to show drama between pharmacists working at Walgreens. The picture is supposed to arouse curiosity, humor, and hostility. Even though I have given some description above, use your imagination to add to it. sorry I can now publish, my proposal is ready or in your chat? The most important part of the image should be the hysterial smiles of the 2 pharmacists that reveals revengeful thoughts for the other. Their 2 heads need to take up the majority of the picture. Interesting project! Do you want it realistic or just vector arts? Interesting project and image to create. I will be participating. 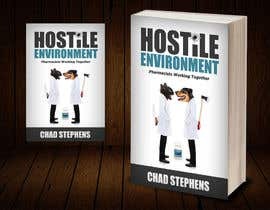 I was wondering if you have a particular style of art in mind for the cover illustration?